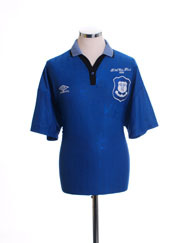 The first incarnation of an Everton team (whilst still known as St Domingo’s) took to the field in blue and white - however, rather than the all-blue football shirts the team are now associated with, this first outfit was blue and white hoops. 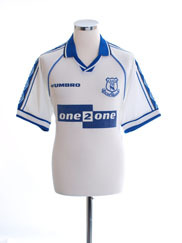 It was to be another 23 years before the club adopted the familiar blue jerseys we know today. The first kit worn by a side under the ‘Everton’ moniker was an all-black outfit with a red sash. 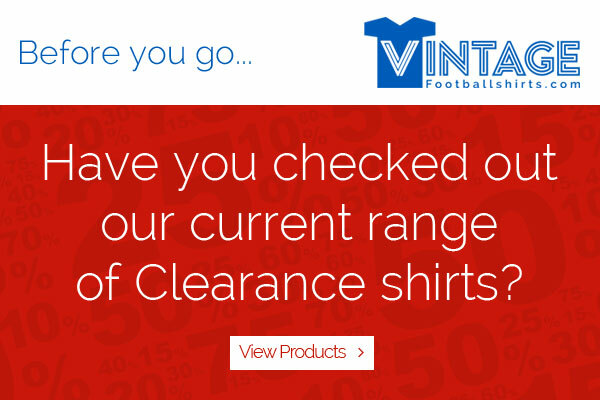 There were practical reasons behind the choice. 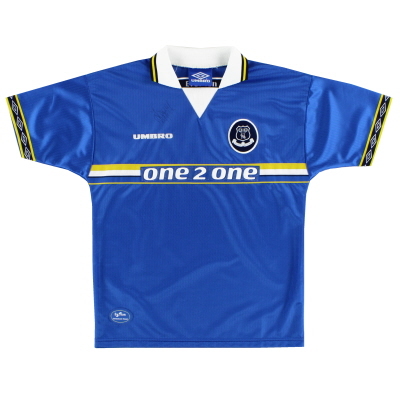 In the club’s early years new players would arrive bringing with them their own kit, and to save money the club decided to dye all the jerseys black to create a team strip. 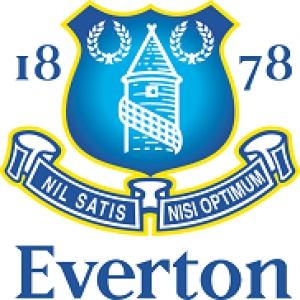 The red sash? 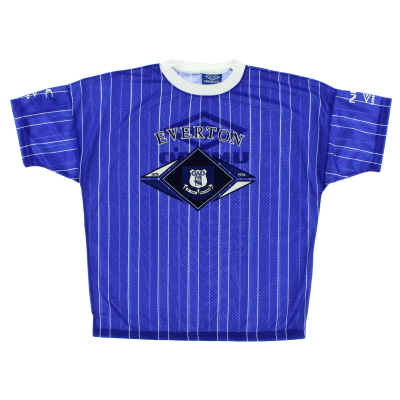 That was simply sewn on afterwards to add a bit of flair to what otherwise was a fairly morbid outfit. 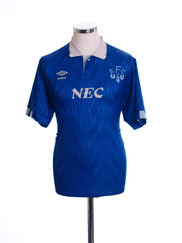 The team are also associated with wearing various shades of pink in their formative years - a colour first resurrected by Umbro as an away kit for the side back in 1992 and also seen in a rather more vivid shade in the 10-11 season. 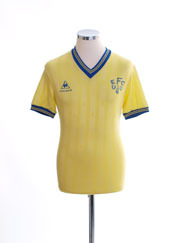 From the 60s onwards yellow/amber has been the traditional Everton away colour although prior to that date, white shirts and black shorts were often favoured. 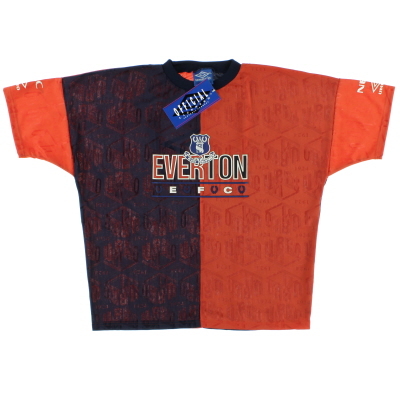 As with all clubs, in recent years a whole plethora of colours have been worn by the team away from home, although most do tend to acknowledge the club’s past and fit in with the established Everton palette. 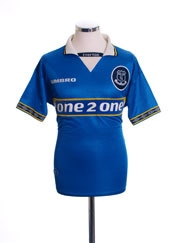 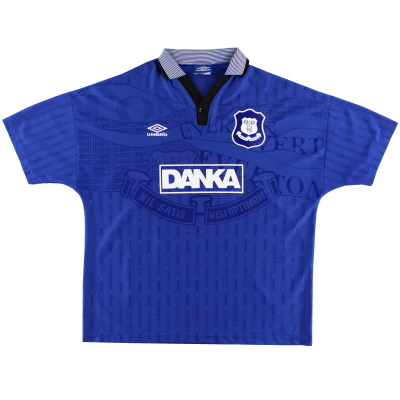 Like their red counterparts across the city, Everton were not slow to adopt shirt sponsorship in the early 80s. 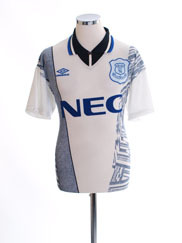 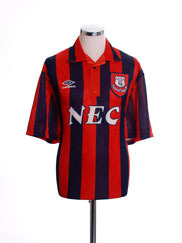 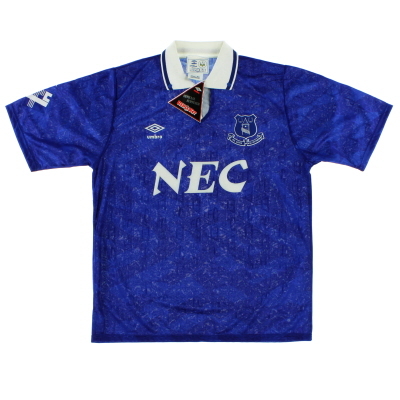 Their first commercial partnership was with Hafnia - a Danish canned meat company although the brand most neutrals associate with Everton must be electrical white goods manufacturers NEC who sponsored the team from 1985 to 1996.